Does your baby wake up too early? Like 4 or 5am too early? I know the feeling, I have been there. Sometimes you feel like there’s nothing you can do to make your baby sleep longer. You have tried an early bedtime, a late bedtime, heck I bet you have even experimented with bedtimes anywhere from 5 -10pm and yet your baby still wakes up too early. There are many, many different reasons why your baby wakes up so early. So let’s explore some possibilities. First, let’s define waking up “too early”. A baby has to have less than 10hrs of overnight sleep for the waking to be considered an early one. Sometimes parents tell me that their baby wakes up too early, and when I ask what time that baby goes too bed, they say 6pm. Well duh! If your baby goes to bed at 6pm and wakes up at 5am, that’s 11 hours of overnight sleep. That my dear, is not “too early”. 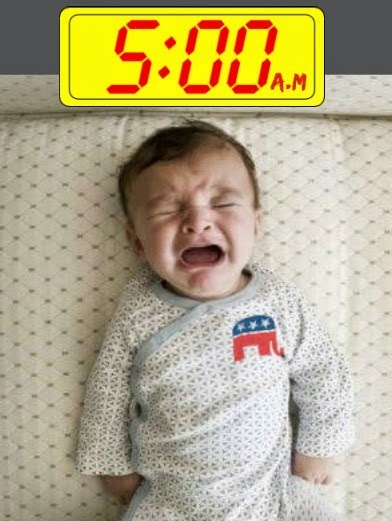 It may be too early for you to get up, but your baby has had enough of night time sleep. My definition of waking too early is anything less than 10.5hrs of night-time sleep. On average a baby sleeps about 11-13hrs at night. The bare minimum for a baby to be well rested, is 10.5hrs. Your baby wakes up early in the morning, no matter what time you put her down at night. She wakes up cheerful, happy, and energetic. She is most happy, playful, and alert during the morning until mid-afternoon. She starts to get fussy in the late afternoon/early evening, and after dinner things tend to get worse. She falls asleep easily at an early bedtime. Light. The sunlight may be sneaking into your baby’s room and waking her. Tip: Get some really good blackout curtain or panels. These are my favorite Blackout EZ Blinds. They prevent light from sneaking in, you don’t need hardware to install them, and can still use your cute nursery drapes or curtains over them. Not to mention they work better and are much cheaper than traditional blackout curtains or blinds. Noise. Maybe you have a noisy neighbor (like I do) that starts his loud antique car at 5:30 in the morning. Or maybe there’s an annoying barking dog near by. Tip: Consider running some white noise, or using a sound machine. Temperature. Is your baby too cold or too warm when she wakes up? Babies tend to wake up early in the morning at the start of winter or summer because of the temperature extremes. Tip: Adjust the temperature accordingly. Try different sleep suits/outfits. Inappropriate sleep schedule. This is probably the trickiest part of an early morning waking. Sometimes when a nap or sleep schedule is inappropriate, or sleep is not distributed correctly, a baby can wake up too early in the morning and have a hard time falling back asleep. Tip: Make sure naps are not too long, too short, too early, or too late. Inappropriate daytime sleep is a big culprit of an early morning wake up. Habitual waking. This can be a bit challenging. Your baby may be waking up at the same early time each morning because she as been doing it for a some time now. So her internal clock is set to wake her up at that time. Tip: Adjust her sleep schedule, and give it some time. Her internal clock may need to be “re-set”. Also consider what you are doing at that time. She may be waking because she’s use to a feeding, cuddles in bed with mommy, or something else she really enjoys. Her internal clock wakes her, then she can’t fall back asleep because she’s really looking forward to whatever it is she gets to do at that hour, even though she can definitely use more sleep. Baby just learned to sleep through the night. 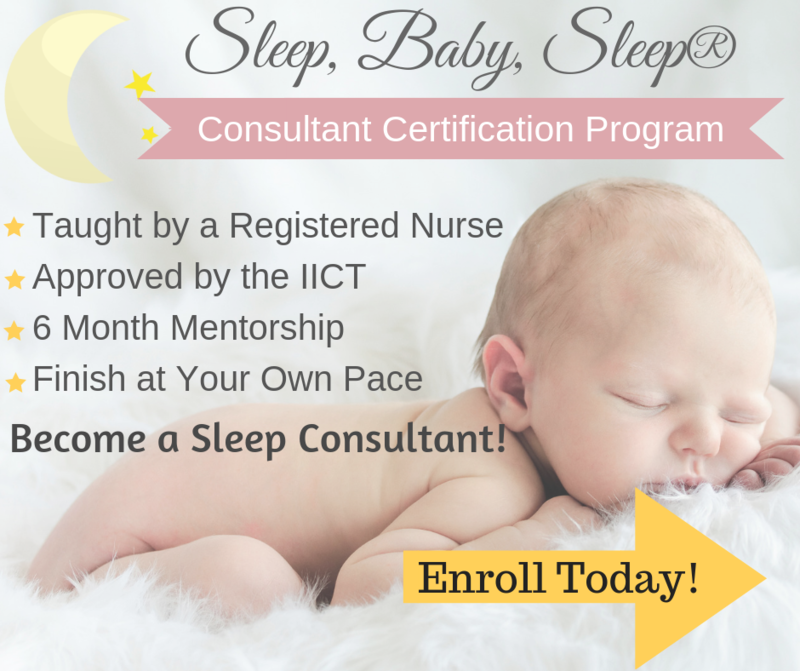 When a baby first learns to sleep through the night, her body is not use to sleeping so many consolidated hours of sleep. Tip: Give her some time to adjust. Her body needs to catch up and realize it needs more than 9/10hrs of night sleep. 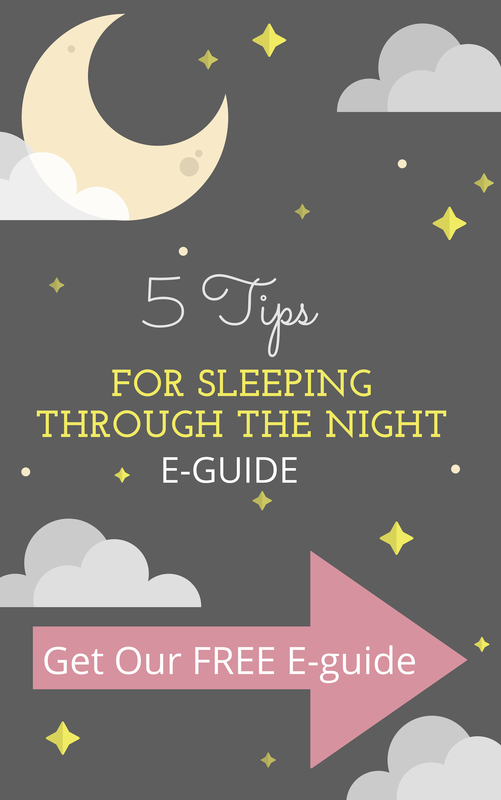 Early morning wake ups are very common at the start of sleep training or when your baby starts sleeping through the night. When your baby wakes up too early, this can definitely cause some frustration. Let’s face it, who the heck wants to be up and awake before 6am? Early morning wake ups are the most difficult sleep trouble to resolve and this does take some time to fix. Once you identify the cause, work hard at fixing it, and be patient. 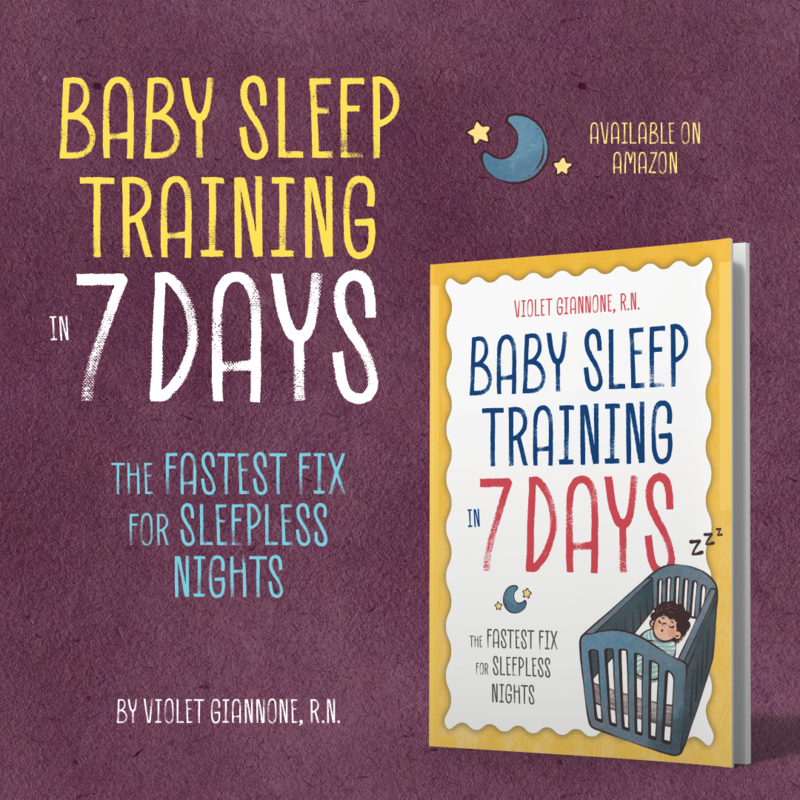 Your baby will start sleeping longer soon. If you do have a true lark on your hands, then perhaps a new early bedtime for you will work best. That way you are up and ready for the day with your early bird. Also remember that these phases won’t last forever, everything is temporary. One day our babies will be teens and we will be begging them to get out of bed by noon!